IS THERE TOO MUCH RADON IN YOUR HOME? HIGH RADON LEVELS FOUND IN HEALTH CANADA TESTS ACROSS COUNTRY. WHY YOU SHOULD TEST YOUR HOME FOR RADON GAS. Radon exposure increases your risk of developing lung cancer. It is the second leading cause of lung cancer after smoking. Radon can enter a home any place it finds an opening where the house contacts the soil: cracks in foundation walls and in floor slabs, construction joints, gaps around service pipes, support posts, window casements, floor drains, sumps or cavities inside walls. Radon is found across Canada, because it occurs naturally in soil. Concentrations differ greatly, but are usually higher in areas where there is a higher amount of uranium in underlying rock and soil. Some amount of radon is found in almost every home, but concentration levels will vary from one house to another, even if they are similar and next door to each other. 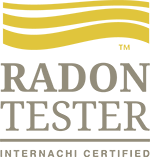 It is expected that only a small percentage of homes will have radon levels above the guideline but the ONLY way to be sure of the radon level in your home is to TEST. What is the Current Canadian Guideline for Radon in Indoor Air? The current Canadian guideline for radon in indoor air for dwellings is 200 Becquerels per cubic metre (200 Bq/m3). This was recently reduced from 800 Bq/m3 based on new information about potential health risks. A Becquerel means one radioactive disintegration per second. Individual dwelling owners mato reduce radon levels as much as they reasonably can, using methods they find affordable and practical. However, the level in a dwelling should not be above the new guideline. illustrates that the risk for a non-smoker at 800 Bq/m3 is higher than for all common accidental deaths (motor vehicle accidents, drownings, falls, fire and more) combined. We take precautions against accidental deaths by putting on our seatbelts, wearing lifejackets or ensuring that our smoke detectors are working – we should also be testing our homes for radon! There are two options for testing a house for radon: to purchase a do-it-yourself radon test kit or to hire a radon measurement professional. If you choose to purchase a radon test kit, you must closely follow the instructions on how to set up the test. Home purchase kits are for information to the home owner only. They may not be accepted by Tarion warranty, rental properties or mitigation requirements. A C-NRPP certified radon professional will need to be contacted. If you choose to hire a service provider to perform the radon test in your house, it is recommended that you ensure they are certified C-NRPP and will conduct a long term test for a minimum of 3 months. Pricing: Short Term radon testing Special Pricing $350 (May-June) Long Term $450, less $200 if done after short term. Where in my Home should the test be Performed? To provide a realistic estimate of the radon exposure of your family, all measurements should be made in the lowest lived-in level of the home. That means the lowest level that is used or occupied for more than four hours per day. For some, this may be a basement with a rec room, for others it will be the ground floor. If you only use your basement once a week to do laundry, for example, there is no need to test on that level – your exposure time will not be long enough to create health effects. Will High Levels of Radon Affect the Value of my House? Where a high radon level is detected, it can most often be successfully lowered at a cost which is usually small when compared to the value of the house. Like regular maintenance, fixing the problem may in fact protect the value of your home. 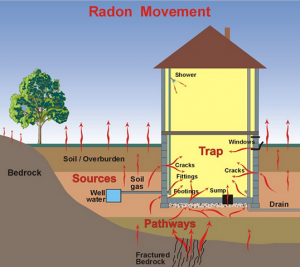 How can I Reduce the Amount of Radon in my Home? Ventilate the basement sub-flooring by installing a small pump to draw the radon from below the concrete slab to the outside before it can enter your home (commonly known as Sub Slab Depressurisation typically performed by a contractor). 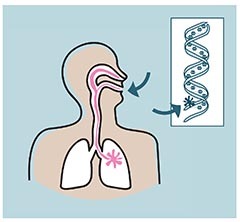 Increase the mechanical ventilation, via a heat recovery ventilator (HRV), to allow an exchange of air. Seal all cracks and openings in foundation walls and floors, and around pipes and drains. Mitigation costs can be high and after the warranty period is over the home owner will be responsible for these costs. You will need to follow the claims procedure and fill out a Tarion claim form, this can take some time during the cliam proceed so make sure you have all the documents filled out properly. Although a short term radon test maybe accepted it is possible that a long term (3 month during the heating season) Radon test maybe required. Tarion may require testing to be done by a C-NRPP certifed radon professional before authorizating for mitigation is approved.